NEW YORK, NY (March 29, 2019) – Sony Music Masterworks today introduces New Masters, a rotating ensemble of today’s leading, up-and-coming and established jazz musicians, as they take on today’s biggest chart-topping hits for a new genre-defying project entitled ReWORKS. Available everywhere now is ReWORKS – Vol. 1 lead offering, Juice WRLD’s breakthrough hit “Lucid Dreams,” as arranged by guitarist Gilad Hekselman. “Lucid Dreams” is the first track from ReWORKS – Vol. 1, which is set for release Friday, July 12 and will feature songs originally performed by Cardi B, Drake, Kendrick Lamar, SZA and more. The newest project from Sony Music Masterworks – ReWORKS – embraces jazz in all of its crazy polarities. It features New Masters, a powerful all-star collective comprised of primarily new talent, formed as a fresh, creative reaction to the distinct challenges of an age when playlists and brands—more than albums and bands—are in prominence. 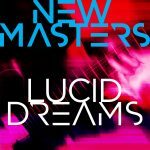 The first edition New Masters ensemble includes among its impressive lineup many of the leading, up-and-coming or established representatives of their respective instruments: pianist Sullivan Fortner, drummer Eric Harland, trumpeter Keyon Harrold, guitarist Gilad Hekselman, bassist Burniss Earl Travis and saxophonist Immanuel Wilkins. Adding his trademark spark and cohesion to the project as well is respected percussionist Bashiri Johnson. Pierson recruited these performers from among the top tier of today’s burgeoning jazz scene, improvisers both steeped in the jazz tradition and in tune with current musical trends. There was a level of familiarity as well: some had experience playing with each other, but there was the added spark of a few first-time encounters. The group’s repertoire—true to the name ReWORKS—boldly focuses on songs drawn from the top of today’s pop charts, tunes with a melodic priority that are able to benefit from an improviser’s touch. The choices also serve as generational signifiers—present-day hits by familiar stars, as relevant to the youngest tier of listeners as they are pervasive among all who listen with open ears. To hear it from Matt Pierson, the veteran jazz producer who initiated ReWORKS, the project is as much a product of that longstanding imperative in jazz as it is a product of the current age. On ReWORKS – Vol. 1, four out of six tunes were nominated for a Record of the Year Grammy® Award, and on average each has streamed more than one billion times. It’s a concept with much precedent; in fact one could say that jazz has repeatedly proven itself to be among the most wide-eared of styles in the general family of music, ever curious and attentive to the twists and trends that popular music – despite the prevailing notion that jazz is somehow anti-commercial. In the 1920s and ‘30s, it took the songs created for Broadway and Hollywood that made it onto the Hit Parade of the day and turned them into timeless standards; in the ‘60s and through the ‘70s, it drew inspiration from the groove-fueled music of Motown and soul. Today, countless jazz musicians embrace broken-beat rhythms while drawing on other ideas and technologies borrowed from the world of hip-hop. This cross-pollination continues to be the way in which jazz grows anew, thriving through change and adaptation – which is precisely the strategy that gave birth to the groundbreaking ReWORKS project, and the all-star group – New Masters – with which to develop it. A leading pianist of his generation, Fortner’s formidable fluidity and inspired originality derives from his ability to tastefully draw on vocabulary reaching from the music’s traditional roots through its most avant-garde modernity. A product of New Orleans’s music schools and programs, he’s known for his stints in groups led by vibraphonist Stefon Harris trumpeter Roy Hargrove, his collaborations with singer Cecile McLorin Savant (including their recent Grammy®-winning album, The Window) and his own solo excursions. At 43, Harland is the senior member of New Masters, who’s established as the go-to drummer for a number of jazz legends, including saxophonist Charles Lloyd, bassist Dave Holland, percussionist Zakir Hussain and guitarist Kurt Rosenwinkel. He’s a graduate of Houston’s High School for the Performing and Visual Arts from which many other jazz players of note originated, has recorded several albums as a leader, and continues to be one of the most distinguished and in demand drummers on the scene today. Harrold could easily be the most heard trumpet today that no one can name, simply because since graduating from the New School he has become one of the most requested sidemen – on tours and recording projects – by a number of well-known R&B and neo Soul artists, as well as jazz leaders. He’s played with Common, D’Angelo, Mary J. Blige, Beyoncé and Maxwell, and was the trumpet heard in all scenes in Don Cheadle’s Miles Davis biopic Miles Ahead. He’s recently come into his own as a leader, having recently released the genre-bending album The Mugician. Raised in Ferguson, Missouri he unsurprisingly focuses on tunes of message and social awareness. The Israeli-born Hekselman is a standout voice in jazz guitar today, who arrived in New York City in 2004 and is already a major influence on other guitar players of his generation. He’s played in bands led by a diverse range of players – Anat Cohen and Chris Potter, John Scofield and Esperanza Spalding – proving his flexibility in dealing with different approaches and situations. He’s led his own groups for fifteen years and recorded five albums as leader. Travis didn’t begin his musical journey on bass nor was he drawn to jazz; he was a violinist who first loved hip-hop and the local dance scene in Houston. We have vibraphonist Stefon Harris to thank in part for convincing him to pursue a future playing jazz bass. Early experiences included playing in bands led by trumpeter Roy Hargrove and pianist Eldar – the last for almost three years – and he’s now a go-to bassist for the like of keyboardist Robert Glasper, singer Gretchen Parlato, and MC Common. Saxophonist Wilkins is the group’s junior member having just graduated from Juilliard School of Music, and hails from Philadelphia where his entry into music came from his church background as well as dedicated jazz programs. His musical experiences have taken him in and out of the jazz circle; he’s performed and/or recorded with Jason Moran, the Count Basie Orchestra, Wynton Marsalis and Gerald Clayton, as well as Lalah Hathaway, Solange Knowles, and Bob Dylan.